Fiat Chrysler Automobiles NV will add up to 62,000 more vehicles to Alphabet Inc’s autonomous driving unit Waymo, the companies said on Thursday, as part of Waymo’s plans to roll out a commercial autonomous ride-hailing service in the U.S. later this year. Large tech companies, established automakers and venture capital backed startups including Uber and Tesla Inc are all stepping up efforts to be the first to deploy autonomous cars, which is expected to transform the automotive industry, including new business opportunities in mobility-as-a-service (MaaS). “Waymo’s goal from day one has been to build the world’s most experienced driver and give people access to self-driving technology that will make our roads safer. We’re excited to deepen our relationship with FCA that will support the launch of our driverless service, and explore future products that support Waymo’s mission.” Waymo Chief Executive Officer John Krafcik said in a statement. 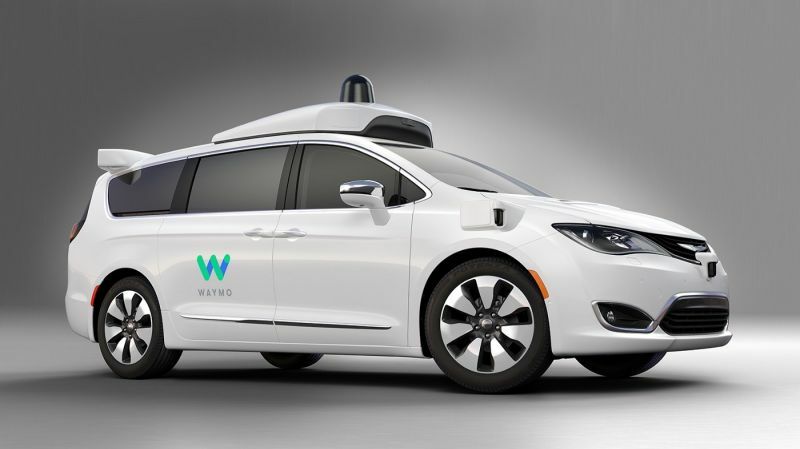 Fiat Chrysler (FCA), which already has a partnership with Waymo, will supply the additional Chrysler Pacifica Hybrid minivans for Waymo’s existing fleet, the companies said on Thursday. Delivery of the cars is expected to begin in later this year. In addition to the Chrysler Pacifica minivans, Alphabet’s self-driving unit said in March it will also add up to 20,000 luxury Jaguar Land Rover I-PACE electric SUVs to its upcoming autonomous fleet. In addition to the new vehicles, the companies are also in early discussions about embedding Waymo’s self-driving technology into FCA cars to be sold to retail customers. The minivan’s electrical, powertrain, chassis and structural systems make an ideal vehicle to accommodate Waymo’s self-driving technology. Waymo is one of the first companies to develop self-driving technology. Since 2009, the company has self-driven 6 million miles on public roads without any major accidents and billions more miles in computer simulation. On Thursday, Waymo said it was on track to launch the world’s first autonomous transportation service later this year beginning in Arizona, which will allow passengers to use Waymo’s app to summon a driverless vehicle. Waymo plans to later launch in other cities outside of Arizona. Waymo is currently testing its driverless minivans in Austin, TX, Kirkland, WA, Detroit, Atlanta, and Silicon Valley. FCA has delivered 600 Pacifica Hybrid minivans to Waymo till date, which Waymo outfits with its self-driving technology. FCA first announced its partnership with the self-driving arm of Alphabet in May 2016. The announcement comes on the same day when Japan’s SoftBank Group Corp said it would invest $2.25 billion in General Motors’ Cruise self-driving unit to develop its own commercial autonomous ride-hailing service.